Kendall Lovejoy is enrolled in the new Agribusiness program at Grace College. Kendall Lovejoy’s most vivid childhood memories took place on the farm owned and operated by his grandfather just outside his hometown of Archbold, a small farming community in northwestern Ohio. 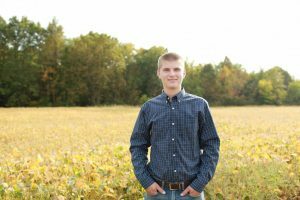 Now a freshman agribusiness student at Grace College, Lovejoy represents the best and brightest of agriculture’s future. Lovejoy and his peers in the Grace College School of Business are running hard after their education and career preparation; this fall they completed their first agribusiness courses and Tobias Forshtay, program director, couldn’t be more encouraged. Associate and bachelor degree programs in agricultural business were launched at Grace College in 2017 to help meet the needs of the state’s agricultural economy as well as the world’s growing need for efficient farming. The Hoosier agriculture industry produces $38 billion annually, about 13.5 percent of the state’s total economy. World population estimates forecast that farms will need to produce 70 percent more food in the future than they do currently. Forshtay, formerly of Silveus Insurance Group, was hired this fall to lead the new degree programs. This semester, he taught agribusiness majors Introduction to Agriculture and Farm Management, and Agricultural Economics. One student who has particularly inspired Forshtay is Kendall Lovejoy. He joined Future Farmers of America (FFA) in high school, then served as president for two years. During his teen years, Lovejoy worked at a neighbor’s hog and grain farm where he did a variety of odd jobs and over time was given more responsibility including grain equipment maintenance and assisting with the hog-farrowing operation. “He is an exceptional young man who made his hands busy in this industry at a young age. From his childhood experiences on his grandfather’s farm to his high school job on a hog and grain farm, he learned some timeless principles and developed a strong work ethic. That experience has fostered in Kendall a unique passion for continuing in the agriculture industry,” said Forshtay. As a first-generation college student, Lovejoy wasn’t immediately sure college was for him. He accepted an invitation to submit a free application to Grace during his senior year, still uncertain if college was in his future. But after visiting Grace and meeting with Dr. Jeffery Fawcett, dean of the School of Business, Lovejoy decided the agricultural business program at Grace was the right place for him. His first agribusiness class this fall, Introduction to Agriculture and Farm Management, reinforced his decision. “I really enjoyed learning about the importance of knowing people and prioritizing them in business. I think the lessons we’re being taught here will set us apart after graduation. Even in our first class, we’re learning how to handle ourselves and treat other people – that’s going to make a difference,” Lovejoy said. 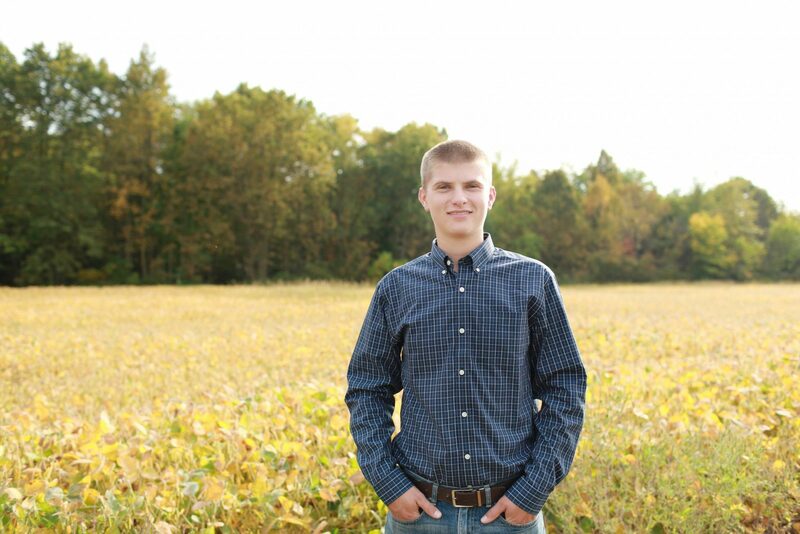 Lovejoy is not sure exactly where in agribusiness he wants to work yet, but with an expected graduation in May of 2021, he has plenty of time to explore the options that his agribusiness degree will afford him. “I think about it every day,” said Lovejoy. “Sales, banking and grain marketing are all possibilities, and there are others. At this point, I just know that I want to be of service to the ag community in my hometown,” he said.